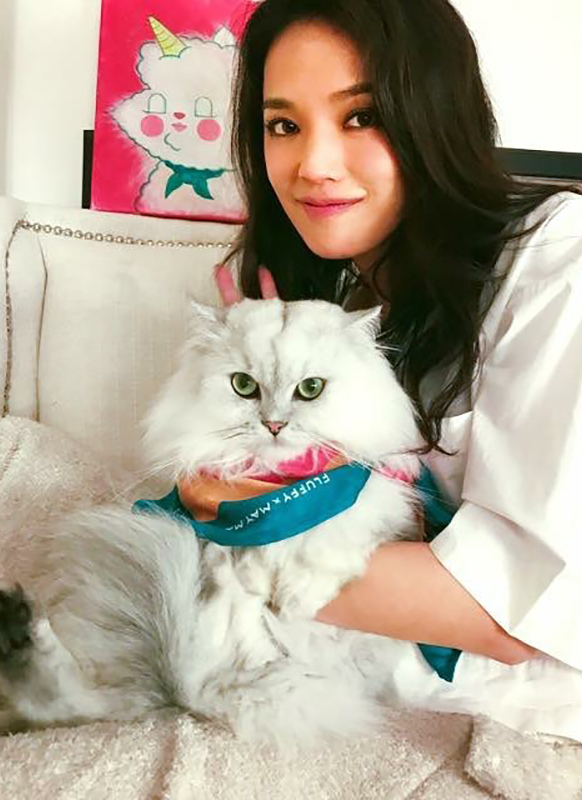 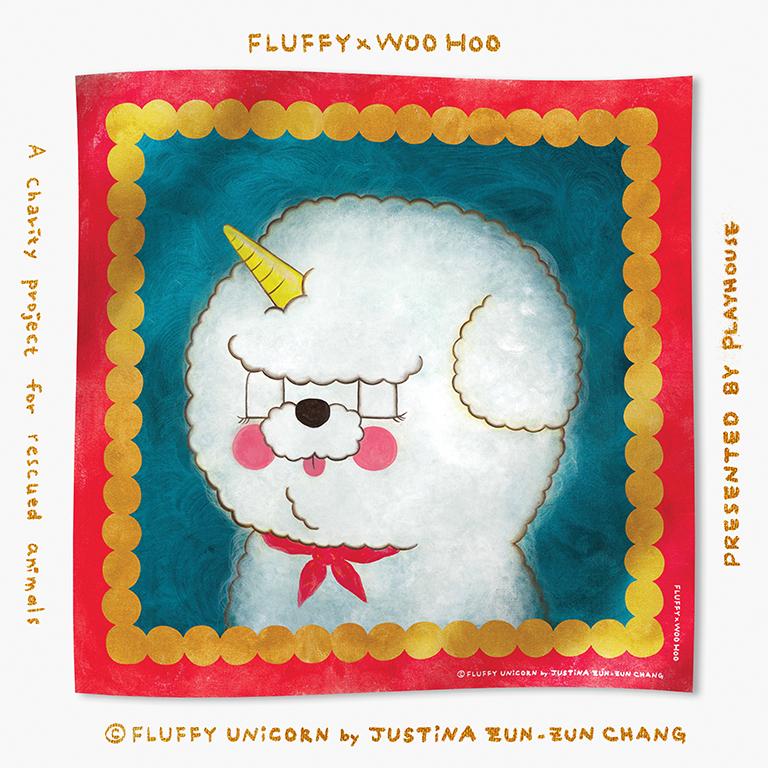 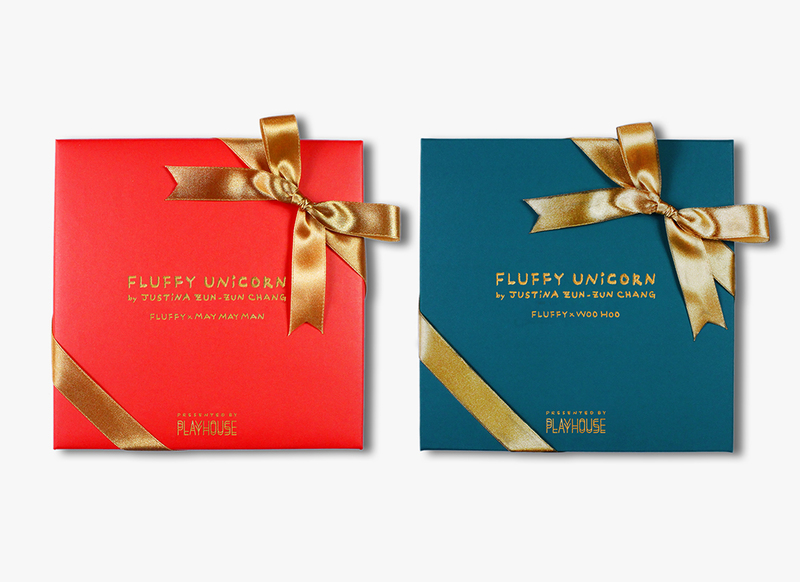 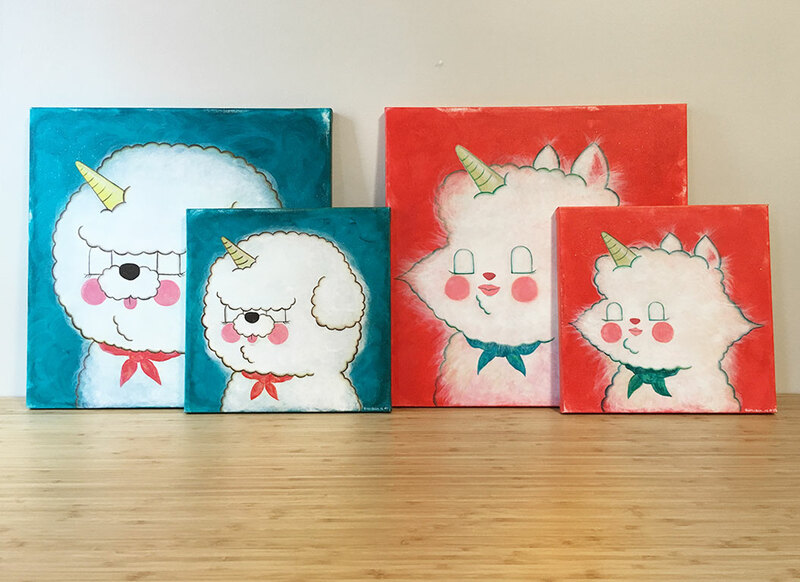 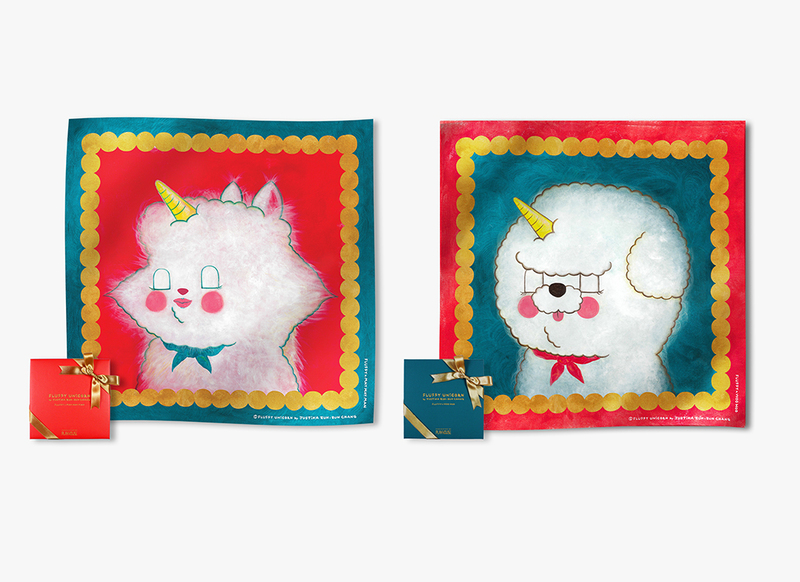 Collaborated with celebrities - singer Jolin Tsai & actress Shu Qi, Fluffy Unicorn turned into their fur kids Woo Hoo and May Man Man, became Woo Hoo Fluffy and May May Man Fluffy. 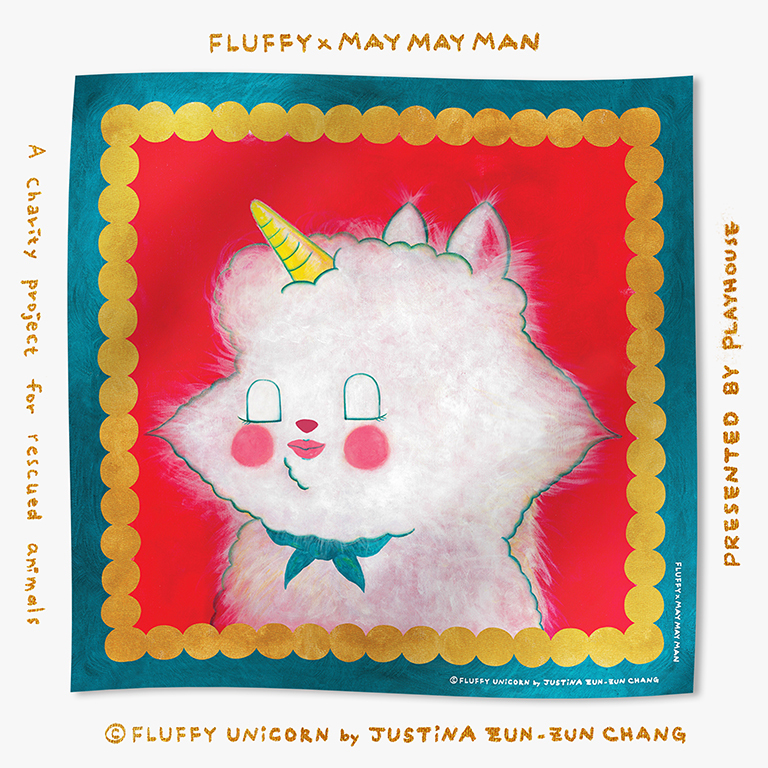 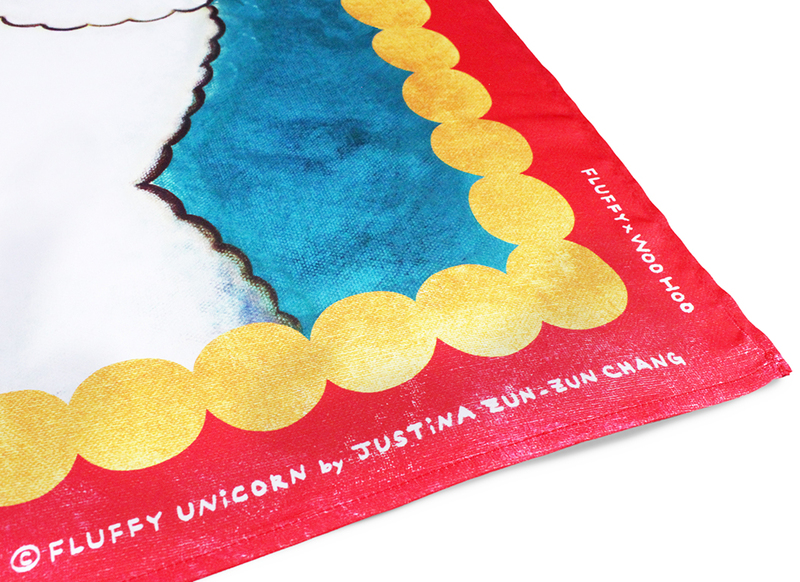 Taking Fluffy Unicorn’s loving and comfort magic power, and turned the artwork into chic scarfs for this charity project. 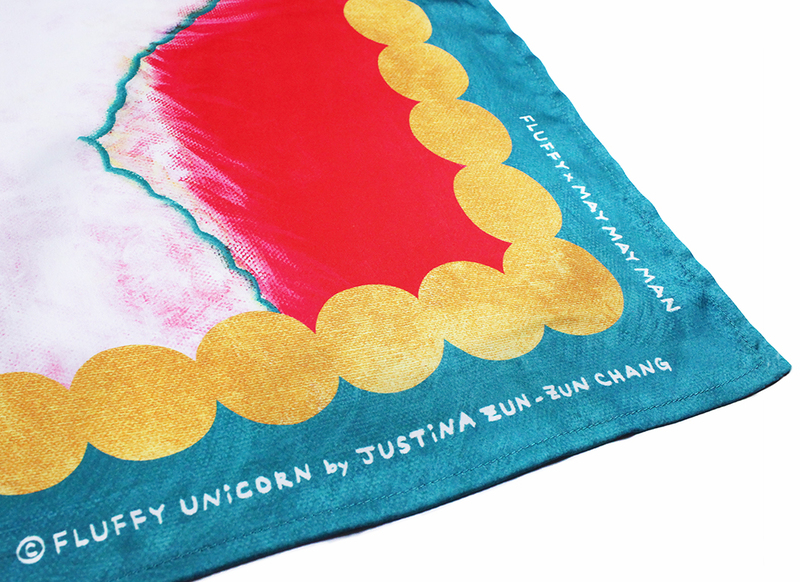 All the profit goes to help more rescued animals.